Here are pistol safes with deep discounts and free shipping. 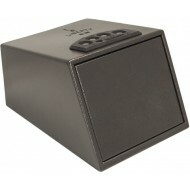 Pistol safes below provide security for your hand guns and valuables. 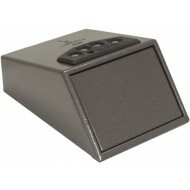 The pistol safes with push button locks provide easy access. All pistol safes are from leading manufacturers. 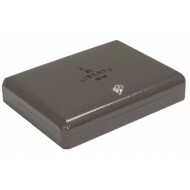 There are also small portable pistol safes, that can fit inside a drawer or a larger safe. The HD-50 is a very portable pistol safe with a great price! This pistol safe is a tough, on-the-go pistol safe that provides robust security, a key lock and will fit most standard handguns and small valuables. The included security cable means you can lock your safe down while out of the office and/or car. 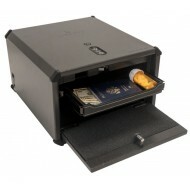 This biometric pistol safe will secure your important documents, your jewelry, medication, money, firearms, and more. It is very quick and easy to setup, allows for multiple fingerprint access, and requires just a single finger for operation. If you are looking for a biometric fingerprint pistol and/or personal safe that you can use to be sure only proper folk can get to your stuff, you found it. 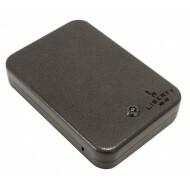 Liberty 9G boasts among the best the False Acceptance Rates (1/100,000 finger swipes - the measure of the likelihood that the biometric security system will incorrectly accept an access attempt by an intruder) and False Rejection Rates (the measure of the likelihood that the biometric security system will incorrectly reject an access attempt by an authorized user) in the gun safe industry. What does that mean to you? You can be sure your valuables and/or your pistol will be accessed consistently by you and only you. For a limited time we are offering a free extra AC adapter with this unit. Please choose the FREE accessories you would like below. No need to remember a combination or remember where your keys are. With biometric fingerprint safes, opening your safe is as simple as swiping your finger. For a limited time we are offering a free mounting bracket and extra AC adapter with this unit. Please choose the FREE accessories you would like below. 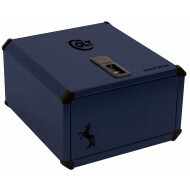 Introducing the new Liberty Colt CDX-250 top notch biometric safe with an impressive new Colt blue finish. If you are looking for a biometric fingerprint pistol and/or personal safe that you can use to be sure only proper folk can get to your stuff. Liberty 9G boasts among the best the False Acceptance Rates (1/100,000 finger swipes - the measure of the likelihood that the biometric security system will incorrectly accept an access attempt by an intruder) and False Rejection Rates (the measure of the likelihood that the biometric security system will incorrectly reject an access attempt by an authorized user) in the gun safe industry. What does that mean to you? You can be sure your valuables and/or your pistol will be accessed consistently by you and only you. For a limited time we are offering an free mounting bracket with this unit. Please choose the FREE accessories you would like below. Introducing the new Liberty HDX-350. 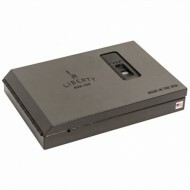 As expected from Liberty, you get the top notch biometric lock. Also with this model you get internal and external USB charging ports so you can keep your devices charge while stowed away. On top of that this model has a sliding shelf to make it quicker and easier to get your things. This model is also about 1/3 larger than the 250 models, so you won't run out of space.